Have you ever wondered what lens you should be using to get a shot? What type of photos do you take? Are you all about people and portraits? Do you get in on the sports action? Are you always on the lookout for wildlife? Different photographic situations call for different lenses. If you have only your kit lens, take a moment to feel deprived, and then read on because someday you will likely be in the market for an additional lens. 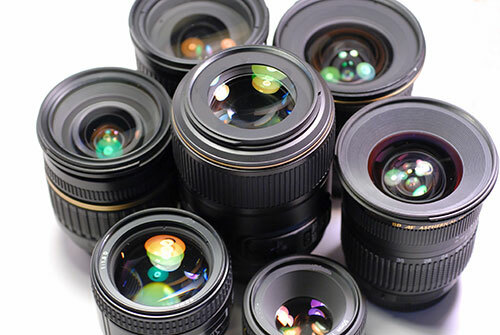 Lenses come in different focal lengths that serve different purposes so read on to understand more about different lenses to use in a variety of common photographic situations. Quickly let's discuss the concept of focal length. This is not to be confused with f-stop or f-number. 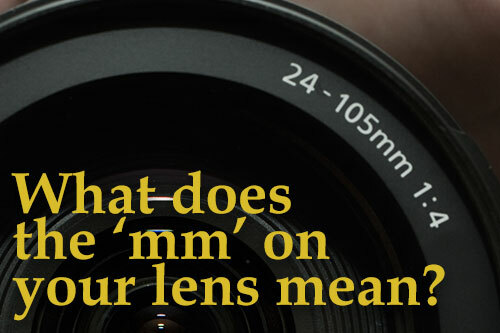 If you take a look at your lens or lenses, you will see the focal length expressed in millimeters (mm). In general, short focal lengths giver wider angles of view and lower magnification. Longer focal lengths, like those found on a telephoto lens, provide a narrower angle of view with greater magnification. If your lens is marked with a focal length range, like 18-105mm this means it is a zoom lens capable of a range of different focal lengths. A prime lens, like a 50mm lens, has a fixed focal length and cannot be zoomed. When shooting with a prime lens, you must physically move closer to or further from your subject. 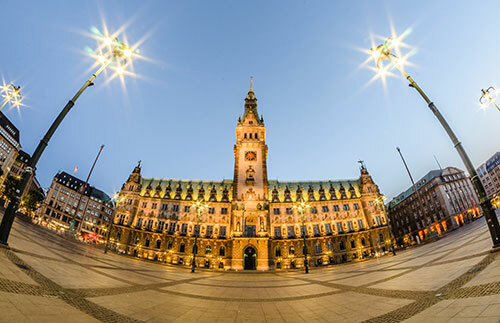 Wide-angle lenses have a wide angle of view, meaning they take in a large amount of the scene. They also distort the scene and make distances seem greater. 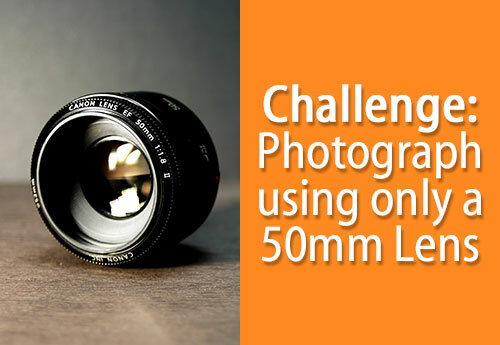 Technically a wide-angle lens could be any lens with a focal length shorter than 50mm. A 35mm lens on a full frame body is wide angle. 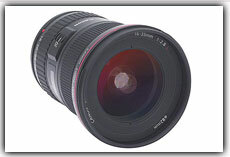 A common wide-angle lens focal length is 10-24mm. Wide-angle lenses are ideal for shooting landscapes. They are also great for architecture and indoor photography. For example, if you have the chance to shoot inside a cathedral, train station, or other building, a wide-angle lens allows you to take it all in. If you are working in a confined space where you can't back up to take in more of the scene, a wide-angle lens is great. 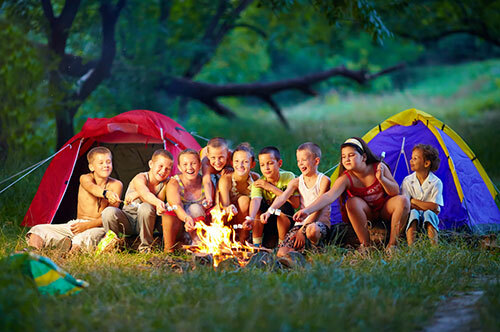 Wide angles are also ideal for photographing large groups of people. With a wide-angle lens you don't have to go across the street and peer back at tiny specks of people to fit the whole group into the photo. Normal lenses may sound boring, but this is the bread and butter of portrait photography. Your kits lens includes a "normal" focal length in its range, but you should really consider a 50mm prime lens for portraits. The focal length of 50mm is roughly equivalent to what the human eye sees, so it is flattering to your subjects. 50mm prime lenses offer high quality at a great price. They typically have low f-numbers, which means they allow a lot of light in making them fast and awesome in low light conditions. If you are specifically into portraits and have space to work in, you may also consider a 85mm lens. The 85mm focal length is ideal for portraits. Your subjects will thank you for the flattering result. Its longer focal length (as compared to the 50) is slimming and great at minimizing the appearance of large noses, etc. This lens is typically f/1.4 or f/1.8, so it can let in lots of light and allows for shallow depth of field. Decent 85mm lenses are fast and sharp. One consideration is the fact that 85mm is a relatively long focal length. I discovered this the first time I used it taking pictures indoors and realized I needed lots of space to get anything other than an extreme close up. You will have to get used to backing up from your subjects a long way! Telephoto lenses compress the view and make far away objects appear closer. 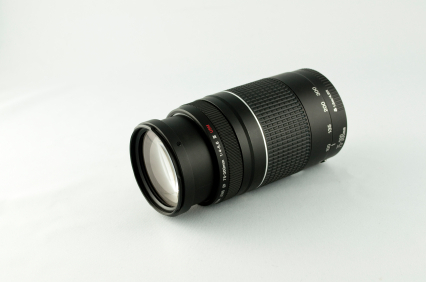 These longer focal length lenses, typically 70-200mm range, have a narrow field of view. A telephoto lens is ideal for sports photography or wildlife. Sometimes you just can't get close enough to the action to get a good shot. This is where a longer focal length comes in. You can safely photograph tackling players or stampeding animals from the sidelines. Unless you have unlimited funds, your telephoto lens will likely have higher f-numbers and require more light. This may necessitate a tripod for clear, sharp pictures. 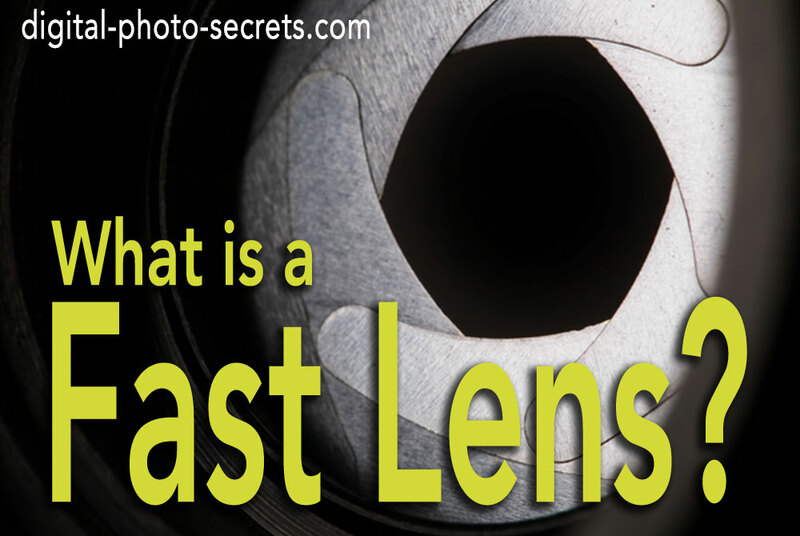 A fast (low f-stop number) telephoto lens is extremely expensive! If you photograph a lot of sports or are heading out on safari, you may really want to consider a reasonable telephoto lens. 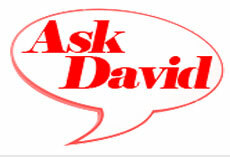 Buying an off-brand lens or even a refurbished one from a reputable dealer may make it possible. If you want the stealth factor, this is where it is at! This term is a bit used and abused to refer to any close-up photograph. All close-ups are not by definition macro. 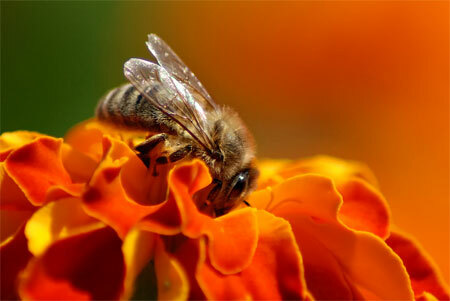 Macro photography is actually a photo taken with a lens that provides a 1:1 ratio. This means that the object you are photographing is the same size or larger on the sensor. Many of the beautiful images you see of individual flowers or small critters are taken with macro lenses. This type of lens is also useful for small, inanimate objects like nuts and bolts or marbles…the kind of thing you might see in a catalog. Macro lenses typically come in the 50-200mm focal length range and have low f-stop numbers. This means they let in a lot of light and are fast for handheld photography. With the wide apertures they offer, you can compose with shallow depth of field where the object is isolated against a blurred background. If a golden eagle suddenly appears in your yard, do not grab this lens. If you are interested in some of the world’s micro inhabitants like snails or bugs, the macro is your lens of choice. 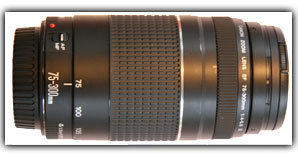 This is the type of specialty lens you may want to rent and try out before taking the plunge. This is another type of specialty lens that is not your ‘go-to’ everyday lens but can be a lot of fun. Fish eye lenses come in several varieties but their hallmark is the distorted, extreme wide-angle perspective they provide. An example of a fish eye lens is a 10.5 mm focal length often with a relatively low aperture like f/2.8. Fish eye lenses are either circular or full frame. With a circular fish eye lens, you will see a circular image with an unexposed black area around it. A full frame fish eye lens produces an image that covers the entire sensor with a 180° horizontal angle of view. Fish eye lens provide some wacky, distorted images where lines appear to bend or the entire image is circular. You will want to get up close and personal when using a fish eye, and the images you create will be unique and striking. 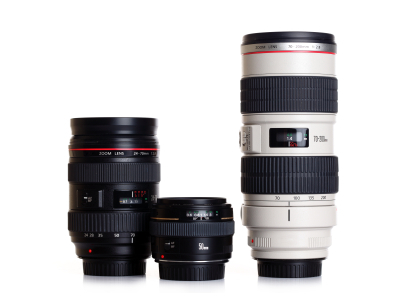 Now you have a good idea of what lens focal lengths are appropriate for different photography situations. You can always shoot a picture with whatever lens you happen to have, but a lens change can make all the difference and the results will be striking. There are just some compositions and shots you can't get with a particular lens/scene combination. Your wide-angle lens is not going to be the most flattering portrait lens, and a telephoto lens just won't allow you to take in an entire scene. You may already have a camera bag full of a variety of lenses. If that is the case just be sure to think ahead of time about what kind of photos you will take, how you plan to compose them, etc. before you grab a lens and attach it to your camera. 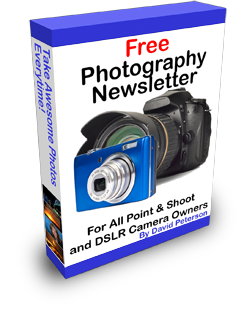 If you are just starting out with your kits lens, you are probably salivating and ready to get a paper route or pick up a night shift to make some extra cash. Photography certainly can be an expensive habit and there is no end to the gear you can acquire. The addition of a quality lens is a great place to start. Consider what you will be shooting most. For people and portraits you can't go wrong with a 50 mm lens. 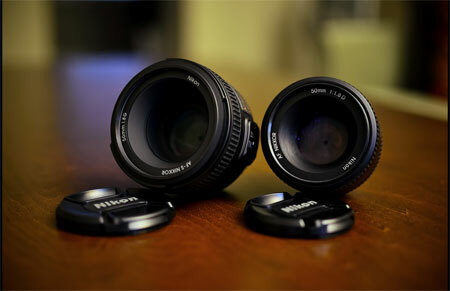 It is also probably the least expensive lens described in this article. If you are forever documenting Little League games or looking for backyard wildlife, look for a lens in the telephoto range. If you work in a tight space, take lots of large groups, or are into architecture then lean towards the wide angle. If you have all of those basics covered then you can really have some fun and experiment with a macro or fish eye lens. Choose the right focal length for the right job to really nail the composition, and you will be taking photos with wow factor in no time! Great articles, has answered my uncertainties. Very informative. Thanks for the really great series of tutorials that I've now been following for weeks. However, I still get confused when you recommend a lens such as a 50mm prime lens as to whether you mean a 50mm prime lens for an 1.5x cropped apsc dslr or, for the same dslr, a 35mm prime lens giving just over 50mm equivalent. Regarding 50mm lenses - you don't need to worry about it. Manufacturers have already taken the 1.5 crop factor into account when calibrating the digital lenses. So a 50mm digital lens on a digital camera will take the same shot as a 50mm film lens with a film camera. The only time you need to worry about the crop factor is when using a film lens with a digital camera. In that case, multiply the lens zoom by the crop factor (usually 1.5). But would not the above lens work differently in a crop sensored camera. For eg a 85mm would have a 1.7 crop factor in a nikon? would you still suggest a 85mm or only a 50mm for such cameras. 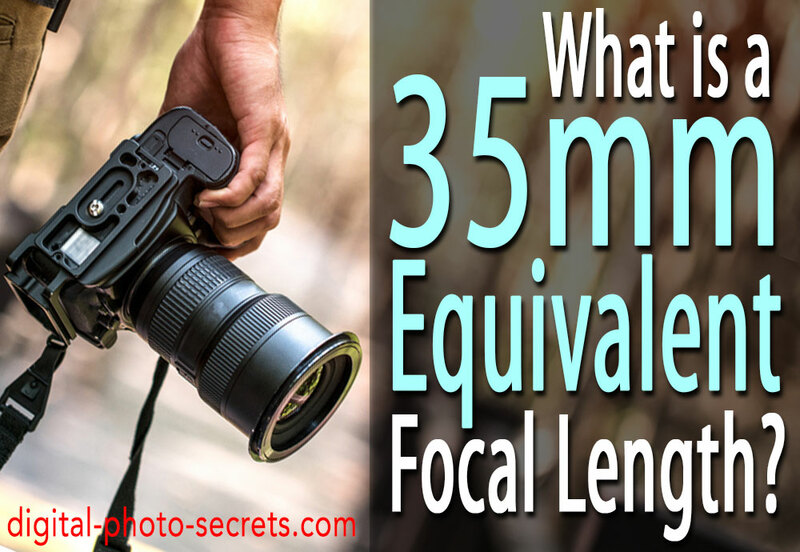 What is a 35mm Equivalent Focal Length?